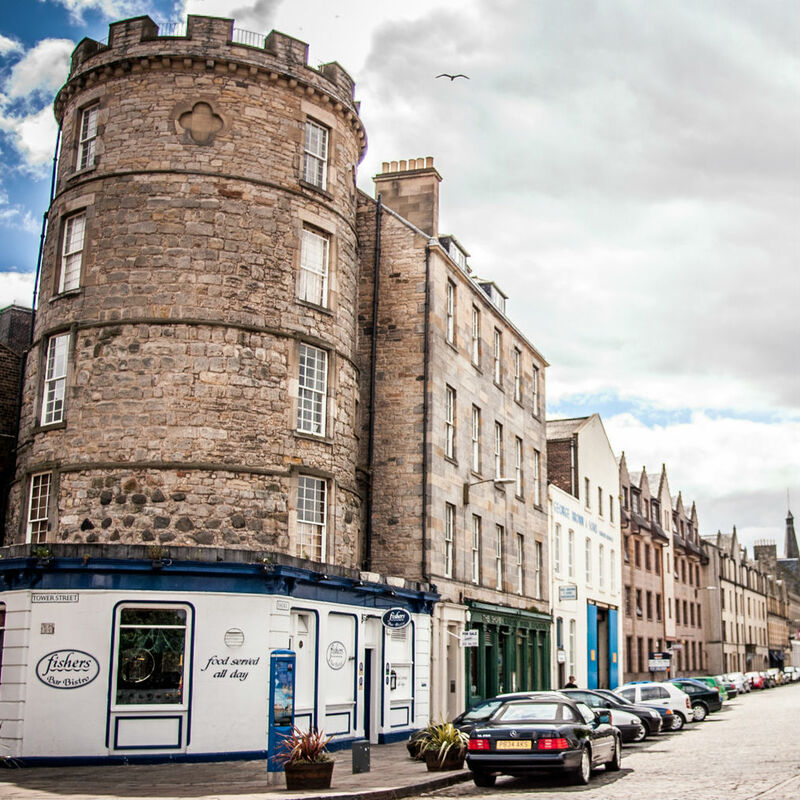 The original Fishers, nestled on the historic shore in leith. 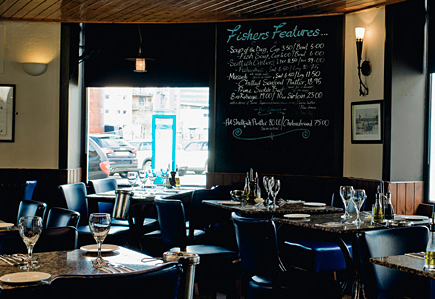 set in a 17th century watchtower, fishers in Leith is still winning awards 20 years after it first opened. Two beautiful dinning areas, the round room and bar or the restaurant, not forgetting outside dinning in the summer months, all offer a great atmosphere and fabulous seafood. 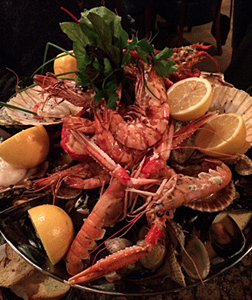 Fantastic flavours and lovely fresh fish. The staff were really helpful and friendly. Will be back as soon as I can! Amazing food and brilliant service. If you want fresh fish this is the place to go and if you want to really taste the fish no fussy sauces etc go for the sole. We thought the whole experience was fabulous, staff very attentive and took time to explain the menu, the food was delicious, we loved all our meals - especially the scallops, soup, and hake. Will definitely return!! Great food - as always. Staff were friendly, food was beautiful, fresh and light, great value. Excellent service and outstanding food. quality always exemplary; service always friendly and attentive. Thank you so much. 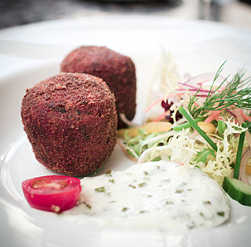 Excellent in every aspect - food quality, ambience, great customer service. Always a joy to visit Fishers Bistro. Delightful food great staff and a relaxed atmosphere. This was a special lunch for my partner’s birthday and it just could not have been better. The food was fabulous and the atmosphere wonderful. Thank you so much for making us feel at home! Had breakfast in the morning which was lovely and so impressed with food, service and ambience booked table for dinner. Great family, couples venue even serving cocktails. I'd recommend booking for dinner. It’s a fantastic place. We have been several times and it is always a pleasure to eat at your place. We are regulars here; we love it, thank you. 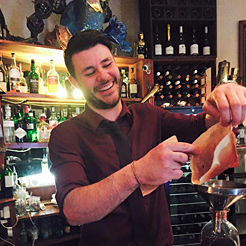 A fab lunch with delicious food, a pleasant atmosphere and friendly, helpful waiting staff. The cod with chorizo and butter bean stew was amazing. We’ll definitely be back. We had a wonderful evening, with great food and wine and friendly staff. We would come again! We have visited many times, always delicious food and lovely staff. I booked online that morning and asked for a high chair. On arrival we were warmly welcomed and a we enjoyed a friendly and efficient service throughout. Child friendly. Nice atmosphere. Helpful Irish waiter kept our baby son going with fresh bread. We ate off the lunch menu, three courses for £20. Decent portions and very tasty. Excellent and wonderful warm welcome.